Marshall's Constitutional opinions grew out of, or were addressed to, serious public conditions, national in extent. 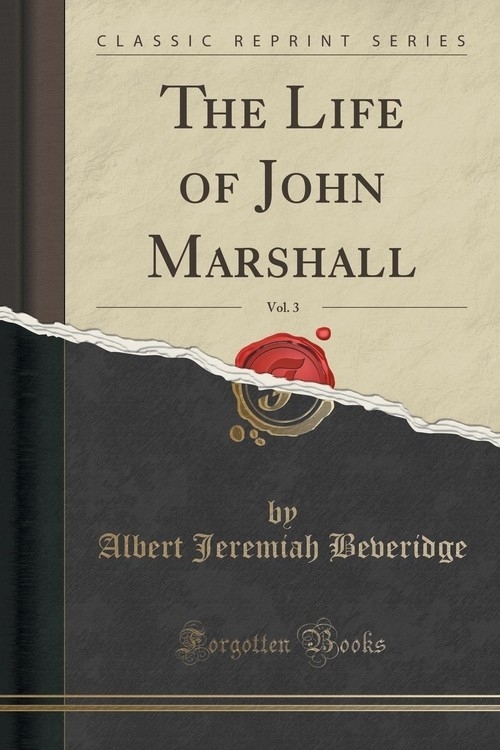 In these volumes the effort is made to relate the circumstances that required him to give to the country those marvelous state papers: for Marshall's opinions were nothing less than state papers and of the first rank. In order to under stand the full meaning of his deliverances and to estimate the just value of his labors, it is necessary to know the historical sources of his foremost expositions of the Constitution, and the historical purposes they were intended to accomplish. Without such knowledge, Marshall's finest pronouncements become mere legal utterances, important, to be sure, but colorless and unattractive. It is worthy of repetition, even in a preface, that the history of the times is a part of his greatest opinions; and that, in the treatment of them a resume of the events that produced them must be given. For example, the decision of Marbury vs. Madison, at the time and in the manner it was rendered, was compelled by the political situation then existing, unless the principle of judicial supremacy over legislation was to be abandoned.